· Streaking: When wiping away water, the blades leave trails or streaks across the windshield. This can partially block your view, making it harder to see what`s in front of the vehicle. · Chattering: A chattering sound when the blades are wiping indicates that they`re bumping up and down against the windshield as they move. This may or may not leave a striped pattern across the windshield. · Blades Pull Away: The wiper blades are designed to rest firmly against the windshield at all speeds of operation. If you notice that the blades are pulling away from the windshield when wiping at higher speeds, it may be time to replace them. · Splitting: A Wiper Blade that`s splitting or cracking will often leave streaks across the windshield when wiping. Pieces may also begin to break off or pull away from the Wiper Arm. Looking for ideal Hs Code Wiper Linkage Manufacturer & supplier ? We have a wide selection at great prices to help you get creative. 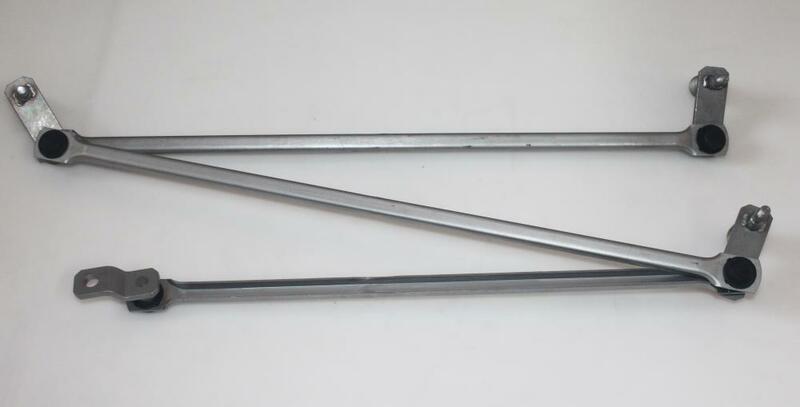 All the Wiper Linkage Bus are quality guaranteed. We are China Origin Factory of Assembly Wiper Linkage. If you have any question, please feel free to contact us.